Please join Tchipakkan and Maryalyce on the New Normal 8 pm Wednesday, May 4th, 8-9 p.m. est. as we talk about how to get what we want (not what we fear). Everything in the world has an energy or vibration, and by using the inherant properties of everything from crystals to herbs to times of day or season, we can work with the flow, not against it. Let’s discuss abundance! For some of us, this is the beginning of vending season, we’ll talk about how to tap into the energy of abundance and not get stuck in the scarcity mindset out of fear. We will discuss essential oils, deities, stones, herbs, and runes that you can work with to bless your cash box, cash, and vending set up. How to use “self talk” to avoid sabotaging ourselves. Do you have your own business? For those in less seasonal, or more “mundane” jobs, we can cover things we can do to make check books, atm cards, & pay stubs into magickal charms to power your move toward positive goals. Do you need help with your techniques? Do you have experiences to share, something that’s worked for you? Maryalyce (aka Akasha’s Heart) has been practicing witchcraft and the magickal arts since 1994. She is an ordained minister, priestess, ritualist, writer, teacher, and healer. She is a member of the Hands On Trade Association, is a Reiki Master Instructor and Practitioner, Advanced Level IET Practitioner, Run Valdr Instructor and Practitioner, and teacher of such things like reading Tarot and Medicine Cards, Introduction to Wicca, Introduction to Witchcraft, Witch-Crafting (making magickal tools), How to Organize/Construct/Lead Rituals, and others. With her passion for just about all things esoteric, metaphysical, astrological, and deeply spiritual, she decided to follow her soul’s journey to feed, educate, and empower the world community. This may be in the form of oracle readings for seekers, healing sessions, healing circles, or Reiki instruction among others. As a dog lover, she extends this healing to not only dogs, but other animals and familiars as well. Maryalyce is an ABCDT Certified Dog Trainer, and she and her rescued dog, Cody, are a registered Delta Society Pet Partner therapy team. 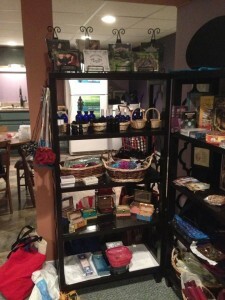 Akasha’s Journey has evolved from the same passion for magickal living and crafting tools and items for people and their pets to assist them on their own journeys. Part of Maryalyce’s dream is to make healing & learning how to heal accessible to the community and the people who truly desire it, and of course, the beautiful animals who cannot ask for it themselves. This entry was posted in Tuesdays New Normal announcements and tagged abundance, balance, Crystals, herbs, manifesting, Maryalyce Merrit, New Normal, oils, prosperity, wealth.